Look at both dolphins jumping out of the water. The dolphins are identical. 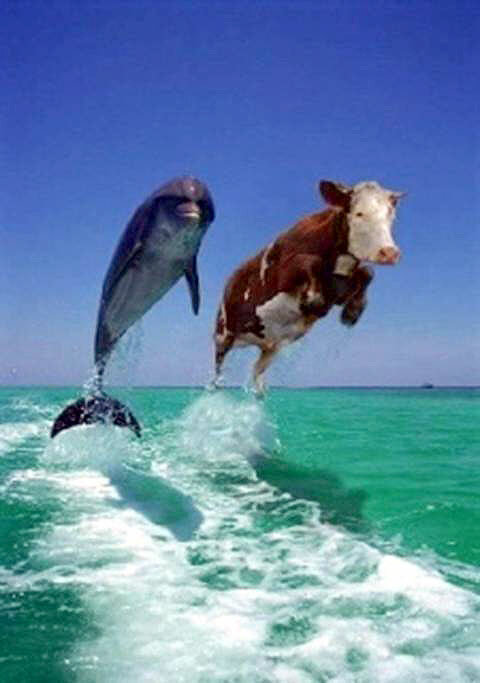 A closely monitored, scientific study revealed that, in spite of the fact that the dolphins are identical, a person under stress will find many differences between the two dolphins . Nobody gets out of it alive anyway.